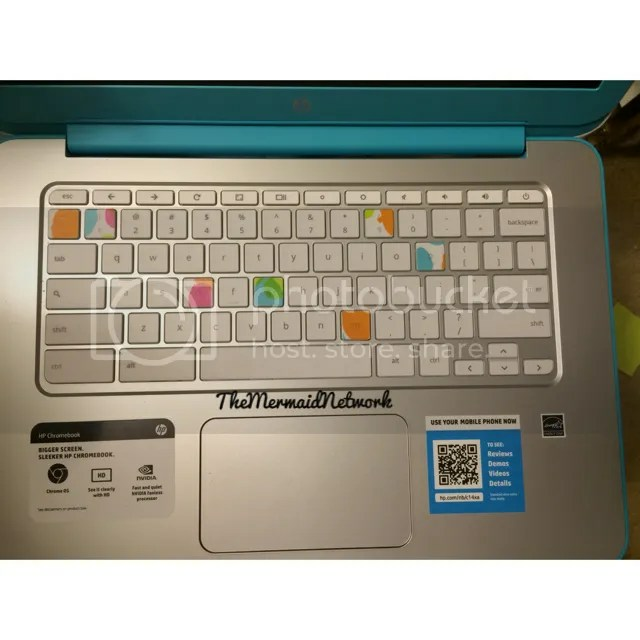 I swear that I wouldn’t have come across doing a Washi tape keyboard had it not been for the fact that no one makes a keyboard cover for my HP Chromebook and I am kind of thankful. I love that this keyboard is bright and happy and stands out compared to just a clear keyboard cover. I did a bunch, and I mean a bunch, of research in order to find out if Washi tape was legit. It is. 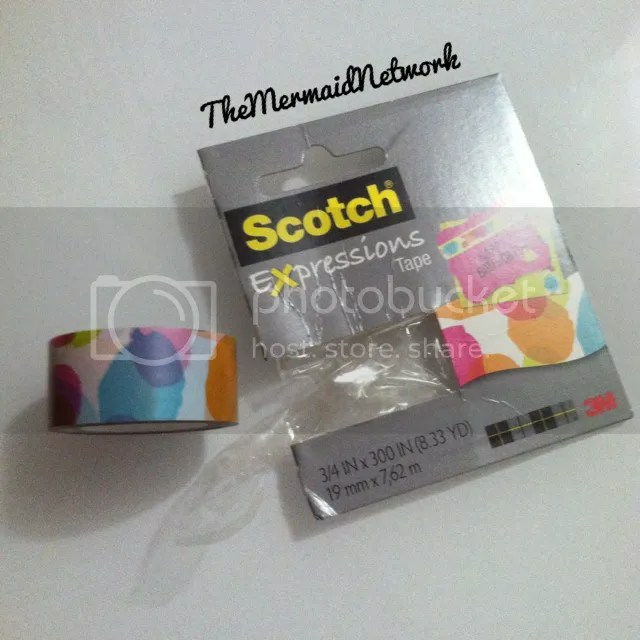 I found that Scotch made a brand that is similar to Washi tape called Scotch Expressions. I wouldn’t have thought twice about them but after more research, they were good too. 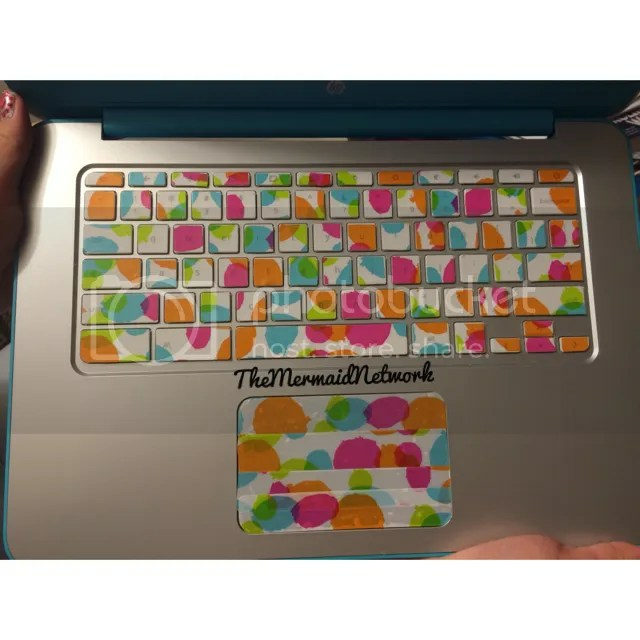 The reason I did so much research is because if they ever make a keyboard cover for my Chromebook that I would switch. I love my keyboard as is now because it is bright and colorful and speaks out about what I am like as a person which is “artistic”, I guess. I chose this Scotch Expressions tape. 1. Move to a place that has no air vents or fans, or turn them off, and clean your keyboard off. You don’t want fuzzes or dust or anything falling on your keyboard, they will create bumps. 2. Cut a template that is slightly smaller than your keys. I cut the exact size and have had to replace one or two because my fingers kept gliding over the edges and kept turning them up. I have replaced them with a smaller size piece of tape. I think that because the tape itself has white and the keys are white that I can’t really tell where the tape starts and stops. 3. When you get to your mouse pad, line the strips along vertically or horizontally, your preference, and try to create the least amount of lay over as possible. Maintenance: I have noticed that some of the keys are now losing some color, not so much that I will replace right away but enough that you can tell. I type a lot on my keyboard, if you haven’t noticed the website, so I am just clicking away on keys. I have short nails but they do hit the keys, I think that if your nails were really short that they wouldn’t lose too much color, but also remember that the oils from your hands contribute. I love that this is an easy upkeep and you can just use a compressed air can to help you remove any pieces of dust in between keys without having to remove or wash a keyboard cover. Another thing I love is that you can still see the keys and what they are meant to do. My biggest concern was seeing the keys and having to rewrite all the letters and buttons but this is pretty translucent. 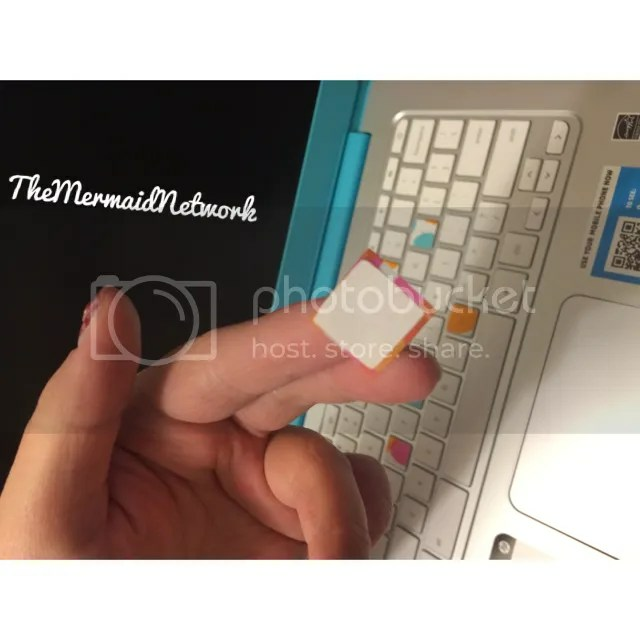 Do you have a washi tape keyboard? Let me know!